Anonymity is a powerful feature that allows for both the increased quality of data and higher response rates. With regards to better-quality data, survey respondents will be more open and candid when they are sure that their responses aren’t linked to their identity. In other words, when Survey Administrators and management can’t tell who answered what, the data collected is often more honest and abundant. 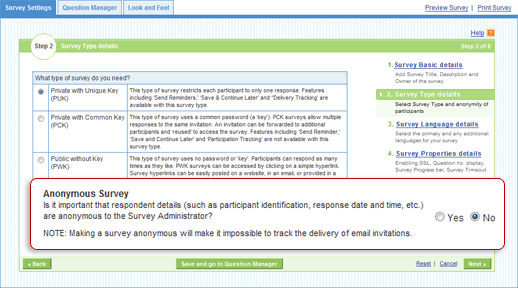 Basically, all Survey Administrators get back are nameless results that can’t be identified by name or IP address. Survey trust and confidence are positive effects anonymous surveys can have on participants’ survey relationships.